The Patriots are this year’s champions and this makes them the favorites to repeat. The team appeared to struggle during the regular season but they were much different in the playoffs, beating teams like the Chargers and Chiefs. Tom Brady has said he will like to continue playing so we will likely see the Patriots compete for a while. The Los Angeles Rams had a low scoring Super Bowl but simply making it to the big game makes them early favorites. The Rams have plenty of superstars to make another run at the Super Bowl next season. They will also be getting back some players that were lost for the season due to injury. The Saints were very close to making it to their second Super Bowl. Some say the team would have made it if the refs made the call on that controversial play that many are still talking about. Drew Brees will likely return so that makes the team a serious contender for next season. The Kansas City Chiefs were great throughout most of the season. 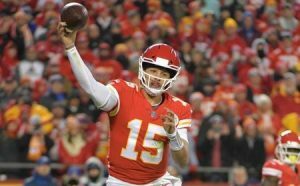 Patrick Mahomes broke records during the regular season and it seemed like they would go all the way. But the team ran into the Patriots and lost a close one. The Chiefs nearly won that one so if they continue playing like they did last season they will be favorites for a while. The Los Angeles Chargers made things a lot more interesting in the AFC West. The team finished with a 12 – 4 record, which wasn’t even enough to win the division. The Chiefs took that title but that could change next season if the Chargers continue playing like they did. Like the Chiefs, the Chargers ran into a New England team that played a lot different during the playoffs. The game wasn’t even close but the Chargers have plenty of talent to be considered early favorites for the 2019 – 2020 season. This season, the Philadelphia Eagles went from nearly out of the playoffs to almost heading to the NFC Championship game. The Eagles had a solid run in the playoffs, despite the many injuries to the roster. The year before, they had a great run that led to their first Super Bowl. The Eagles are surrounded by questions, including what’s going to happen with quarterback Nick Foles, but they can’t be ruled out as early favorites after what we have seen in the last two seasons. 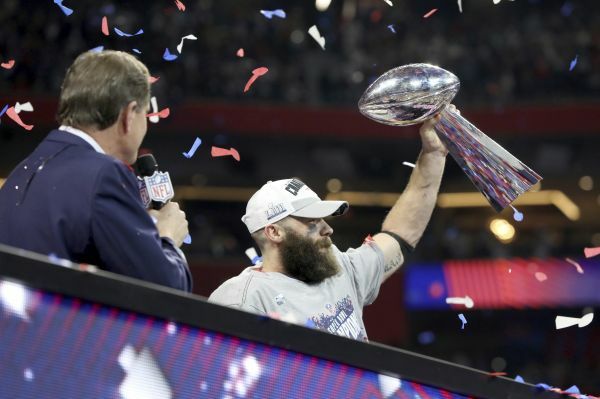 The NFL regular season is months away but it is never too early to make predictions on the teams that could make a Super Bowl run. We also can’t forget about the one or two teams that always come out of nowhere to make a good run.